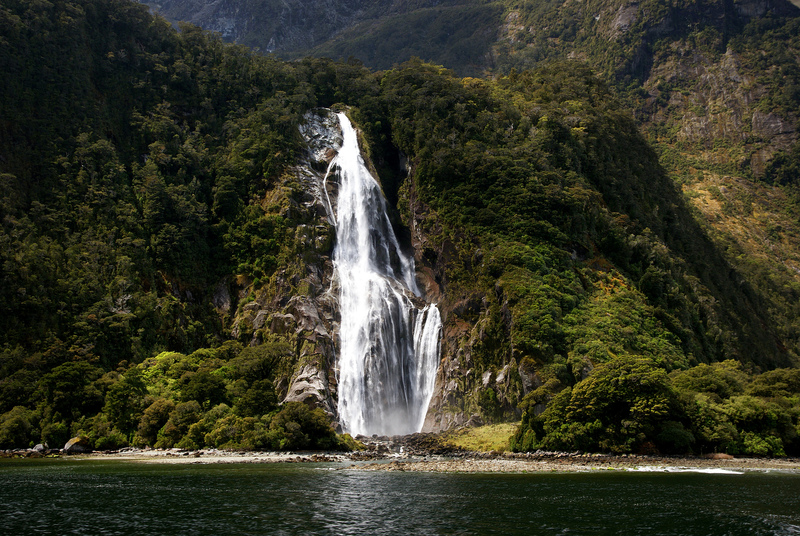 After a two-day voyage from Australia, continue your relaxing cruise along the North and South Islands of New Zealand. Experience the rural and urban beauty all across this country without the tedium of long coach rides and changing hotels each night. Learn about the indigenous Maori people as well as the history of the Scottish, French, and British settlers. Daily excursions suit a variety of activity levels and interests—from nature, history, and wine to animals, architecture, and the local foodie scene. You can even explore a Lord of the Rings movie set or cruise through underground caves lit by thousands of tiny glowworms. Can be paired with the Australia Adventure Tour, January 31 to February 11, 2020. After embarking your ship in Sydney, enjoy entertainment and a variety of amenities aboard a fully equipped cruise ship as you traverse the ocean between Australia and New Zealand. Arrive in New Zealand at Fiordland National Park, New Zealand’s largest national park. Admire the spectacular forested cliffs and graceful waterfalls of Milford Sound as you cruise through this ancient landscape. Today’s port of call is Dunedin, perched on the hills above one of New Zealand’s loveliest harbours. Discover Dunedin’s Scottish history as well as the legacy of the gold rush of the 1860’s as you explore the town. Optional excursions include a guided coach tour of the city, a visit to the historic landmarks Larnach Castle and Olveston House, or an exploration of the city’s Scottish roots at a museum, church, and gardens. Akaroa is the only French-founded community in New Zealand and its heritage is unmistakable. Akaroa’s harbour, formed by a collapsed volcanic crater, is also home to a diverse array of marine life including dolphins, fur seals, and penguins. Optional excursions here include a nature cruise of the harbour, a tour to a picturesque town called Little River which is home to a thriving community of artisans, or a visit to a farm for a taste of the rural lifestyle including a sheep shearing demonstration. Wellington is New Zealand’s capital city, first settled in 1840. It offers stunning views of forested peninsulas, dramatic cliff-side homes, and fine Victorian buildings. At this port of call your optional excursions include a guided tour of Te Papa Museum and a ride on the 111-year-old Wellington Cable Car, a waterfront cycling tour, or a behind-the-scenes look at the Lord of the Rings trilogy in a visit to Weta Workshop. Located in New Zealand’s oldest wine-growing region, Napier boasts a superb climate and golden sand beaches as well as world renowned Art Deco architecture. Today’s optional excursions include the opportunity to discover the rich traditions and history of the Maori people while guided by a knowledgeable local Maori, a tour of three of the region’s acclaimed wineries, or an Art Deco focused tour of the city. Tauranga, the chief city of the Bay of Plenty, is a bustling port and a popular seaside resort with scenic tidal beaches, thermal springs, and big-game fishing. Your optional excursions include a gold discovery experience at Waihi, an exploration of geothermal activity at Rotorua including geysers and hot pools, and a scenic local foodie tour of Tauranga and Mt Maunganui. Straddling a narrow isthmus created by 60 different volcanoes, Auckland boasts scenic beauty, historical interests, and cosmopolitan bustle. On an optional excursion today, you could choose to discover Auckland’s sailing history at the National Maritime Museum and on a harbour cruise, take flight on a breathtaking eco-adventure as you zipline over the forest of Waiheke Island, visit Waitomo to cruise down an underground river magnificently illuminated by glowworms, and much more. The birthplace of modern New Zealand, the Bay of Islands is where the Treaty of Waitangi was signed, guaranteeing the native inhabitants of New Zealand equal status with the British. The Bay of Islands is rich in legend and history, with ties to the Maori, whalers, missionaries, and New Zealand’s early settlers. Optional excursions include walking in the footsteps of Maori chiefs and English settlers with a tour of the Waitangi Treaty Grounds and a visit to the Maori Meeting House and Treaty House, taking a boat ride to the wilder side of the outer islands to explore deep caves and majestic cliffs, or kayaking through the sheltered waters of a mangrove forest with all its wondrous wildlife to the base of Haruru Falls. On your way back to Sydney, relax aboard ship and reminisce with your fellow travellers about all you’ve seen and experienced in Australia and New Zealand over the past weeks. Arrive in Sydney this morning and disembark your cruise ship. Transfer to the airport for flights home. Check the pricing page for what is included and excluded in the tour fare. For further information, please contact us. We would be happy to be of assistance. Click here for a printable PDF of the tour itinerary and costs.